TIERAONA LOW DOG, M.D., is an internationally recognized expert in the fields of integrative medicine, dietary supplements, herbal medicine and women’s health. Dr. Low Dog has been an invited speaker to more than 550 scientific conferences, has published 45 peer-reviewed articles, written 22 chapters for medical textbooks, and published five books including National Geographic’s Life is Your Best Medicine and Healthy at Home. 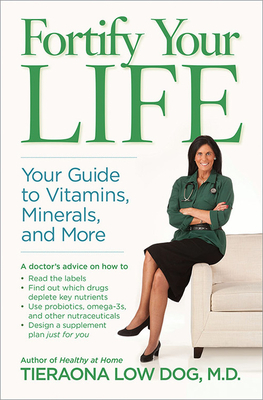 She is a frequent guest on the Dr. Oz show and NPR’s The People’s Pharmacy. She currently serves as the Fellowship Director for the Academy of Integrative Health and Medicine where she leads the nation’s first inter-professional graduate level training program in integrative medicine.